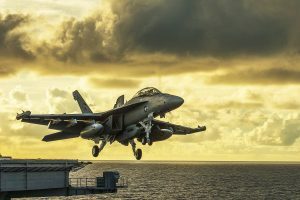 Creating High Quality Products for the Aerospace and Defense Industries - Means Engineering, Inc.
At Means Engineering, we understand the importance of reliable and capable manufacturing services, especially when it comes to the Aerospace and Defense industries. Products for these industries must meet strict requirements for quality and reliability. Our team has several years of experience creating high quality products for the Aerospace and Defense industries. Means Engineering’s commitment to quality ensures that every product produced meets exact specifications and requirements. Our streamlined process ensures the production of products in a timely and efficient manner. Means Engineering provides more than just manufacturing, we provide innovative solutions that help increase quality and reduce the cost of production. We provide electrical and mechanical assemblies, constructed to withstand harsh conditions both on the ground and in the air. We utilize the best people, technologies, and practices. This puts us in the best possible position to ensure the quality and consistency of every product produced. Whether providing design services, testing, or full manufacturing services, we always strive to exceed our customer’s expectations. We understand the unique challenges organizations face when creating new products. Our turn-key capabilities provide an intelligent route from concept to market. This simplifies product development and provides a simple solution to cumbersome outsourcing issues. Our experienced design team provides a second set of eyes for design plans. Through years of experience working with the Defense and Aerospace industries, we have refined our process to locate areas that could benefit from improvement. Our testing services allow us to test a wide range of parts and assemblies to ensure their proper operation, even when exposed to rigorous environments. Means Engineering uses a lean manufacturing process specially designed to meet a number of order fulfillment requirements. We provide a customized approach to provide the greatest level of value and convenience to our clients. Means Engineering is a one-stop source for comprehensive product development and manufacturing services. Our team brings a high level of expertise and innovation to every project. We have experience working with several industries including Medical, Industrial, Aerospace, and Defense. Our integrated approach ensures high quality results time and time again.